FONTANA, CA – The guy who said “it never rains in Southern California” obviously didn’t live in California. The start of the California 500 was threatened by rain on Sunday. Luckily, the rain stopped at 10:30 allowing the Fontana crew to dry out the track – a two-hour ordeal. 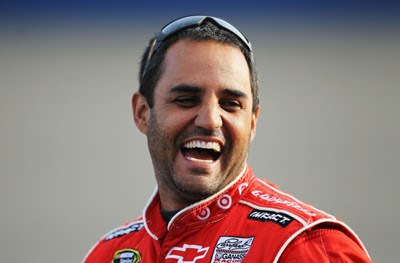 Starting from the pole, F1 champion Juan Pablo Montoya led the first 7 laps of the race. Denny Hamlin, also starting on the front row, placed his FedEx Toyota in the lead until lap 22 when teammate Kyle Busch took over. The race saw 10 leaders with Kyle Busch in front for 151 laps. 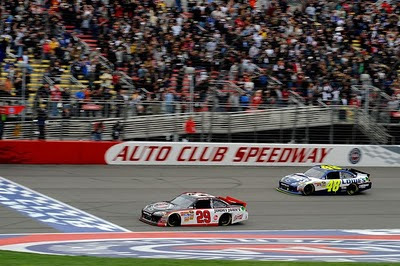 But there is one lap that is most important to lead, and Kevin Harvick claimed the position with only half a lap to go, passing Jimmy Johnson in turn 3 of the last lap. Harvick performed a video-perfect move bump-drafting Johnson, pushing him deep into turn 3. Harvick drifting high went around Johnson and crossed the finish line 0.144sec ahead of Johnson. 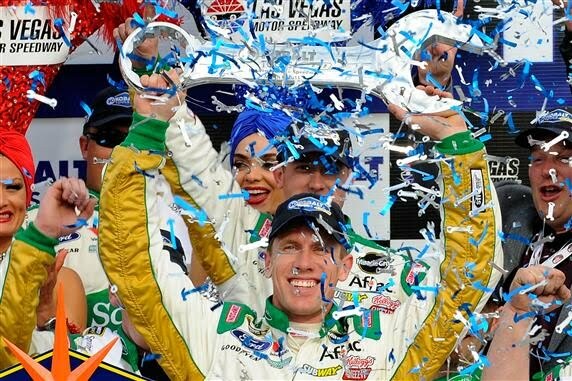 Commenting on his “cone-from-behind-at-the-end” style, “I think, you know, for me, I always was taught to race, just go fast enough to put yourself in position to be around at the end and make sure your car still has all the fenders and tires and everything still underneath it,” said Harvick. “When it's time to go, you have a little something left; your car is hopefully fresher than the guys around you. Probably somewhat of a bad habit that I have, but I guess it works out.” The win propelled Harvick from 15th to 9th in the championship points. 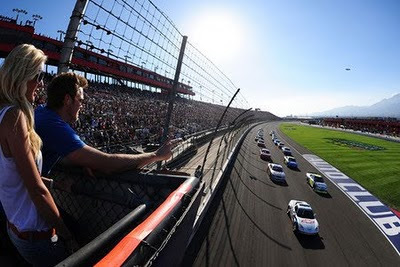 This was the native-Californians first win at Fontana, and is Richard Childress Racing’s first win at the California Oval. After dominating for much of the race, Kyle Busch could not manage better than 3rd followed by Matt Kenseth and Ryan Newman. 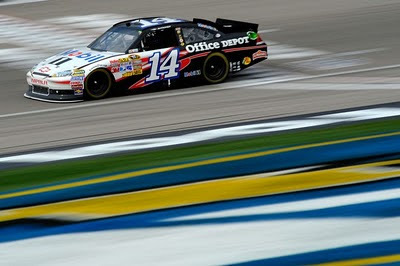 The most disappointing performance was had by Tony Stewart who could manage no better than 13th. Leading 11 laps of the race, Stewart had one of the best cars at Fontana and was running in second place for much of closing laps of the day. But in the final 10-lap melee, Stewart got a bad restart on Lap 190 and just fell out of contention. Tony’s Crew Chief Darian Grubb commented, “We’re not really sure what happened, obviously, we’re pleased with the way the car ran for the majority of the race, but it’s pretty disappointing that we ended up where we did. 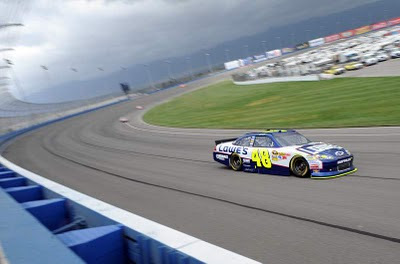 For whatever reason, we couldn’t get going in the laps after the final restart, and it cost us a ton of positions.” Stewart is winless in 2011 and is in 6th place in the points. Before the race, deChaunac reflected on Oreca’s history and American-style racing, "In Europe, the focus is on the technical aspect. In America, it focuses more on the show. That's what appeals to me. Whatever the discipline, we have had a popular success. That's what excites me! I remember spectacular and exciting racing, but also very close to the fans. Oreca burned bright and wrote one of the most beautiful chapters of its history with the Dodge Viper. Oreca had two incredible years. This experience has enabled us to discover a new world, a new conception of racing. We enjoyed this adventure which has affected us." 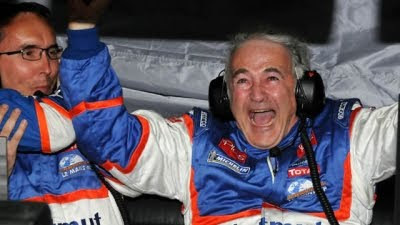 The other amazing story at Sebring concerned the defending ALMS champs Honda Performance Development. 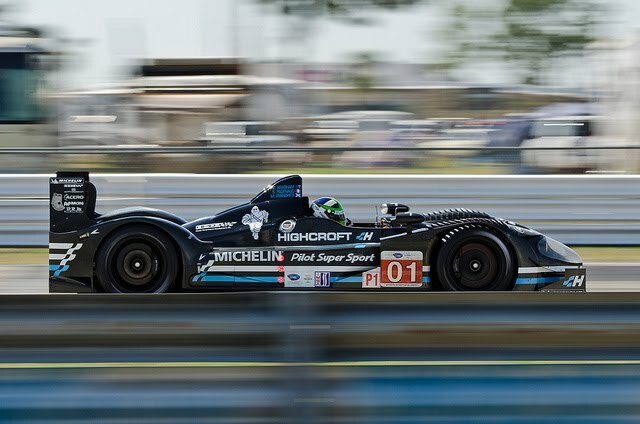 Receiving their new car, the ARX-01e on Friday, a week before the race, in Florida, the HPD crew had a lot of sorting and setup to do to make the car worthy of the 12-hour duel. The car ran for the first time on Saturday, and was still involved with testing on Monday. The team must have done remarkable work almost winning the race against the mighty turbo-diesels finishing second less than 32 seconds behind Team ORECA. 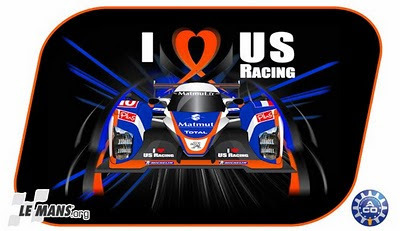 The expectations will be high for the team come May at Le Mans. LMP2 was won by the Level 5 Motorsports Honda-powered Lola B11/40 driven by Diaz, Hunter-Reay and Tucker. This was remarkable following a mid-race incident during which a loose wheel-nut caused the car to lose a wheel resulting in the car stopping on the track. 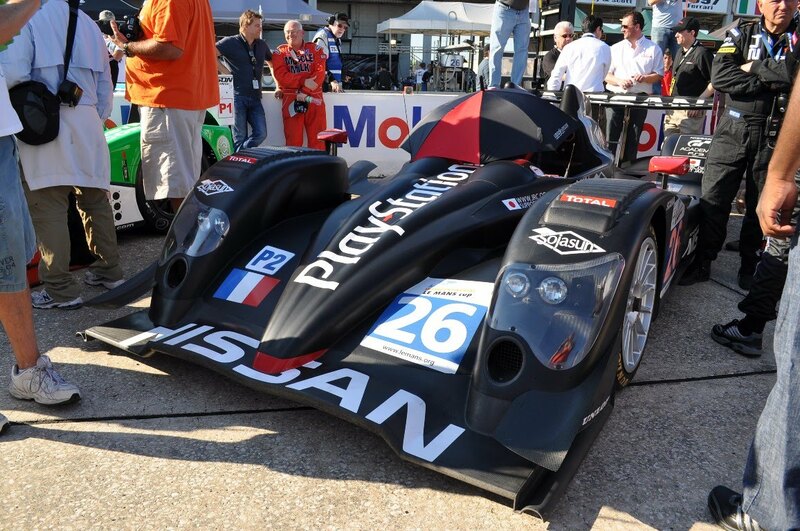 The ORECA entry Nissan piloted by Mailleux, Ayari and Ordonez, placed second with the Oak Racing Judd rounding out the podium. In the competitive GT class, BMW finished 1 and 2 despite the first place M3 of Hand/Muller/Priaux suffering a tire puncture in the first hour of the race caused by rubbing contact with the Level 5 Honda-Lola. A later incident involving a Jaguar XKR-GT caused a spin while at the hand of Muller. 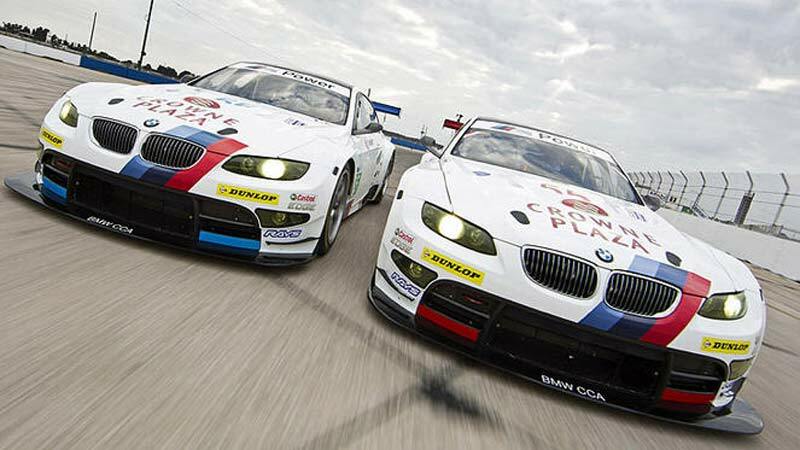 Nonetheless, the BMW reclaimed the lead by the 3rd hour of the race. The Auberlein/Werner/Farfus BMW placed second followed by the Corvette Racing C6.R of Beretta/Milner/Garcia. 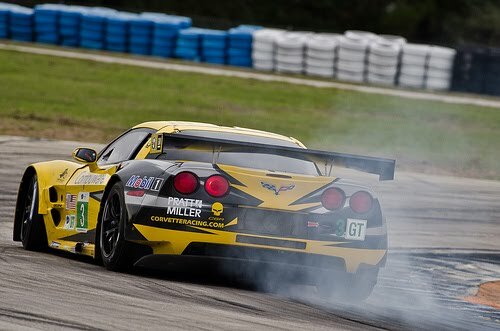 The #4 Corvette driven by Gavin/Magnussen/Westbrook placed 4th and the Risi Competion Ferrari F430 placed fifth. The performance by the BMW puts the team 9 points ahead in the Manufacturer’s Cup, followed by Corvette Racing. GAINESVILLE, FL – What happens when a team is backed by a sovereign nation? It wins races of course! After leaving 0.004 seconds late, Del Worsham drove past Tony Schumacher in the final round of Top Fuel with a 0.004 second margin ( 3.858s to 3.866s). 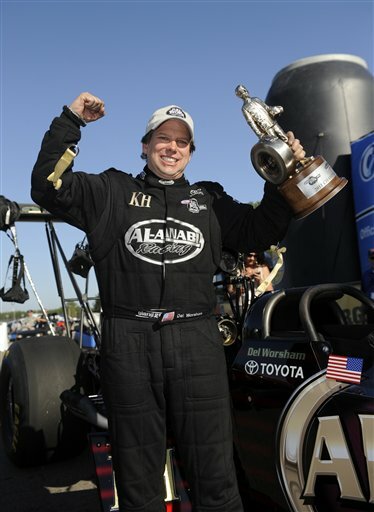 This is Worsham’s first Top Fuel win after a reasonably successful career in Funny Car. Speaking of Funny Car, Mike Neff ran a quick 4.092s, 310.48mph blast in the final round against Cruz Pedregon who after spinning his wheels at the start could manage no better than a 7.819s, 99.32 mph run. I think I could better that in my wife’s Yukon! The excitement for the weekend was Pro Stock. 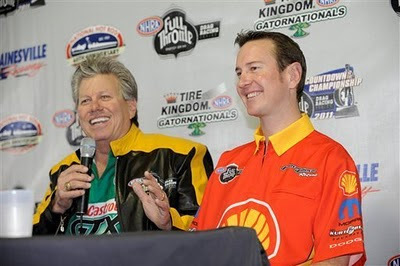 Kurt Busch, the 2004 NASCAR Sprint Cup Champion, made his debut in NHRA. 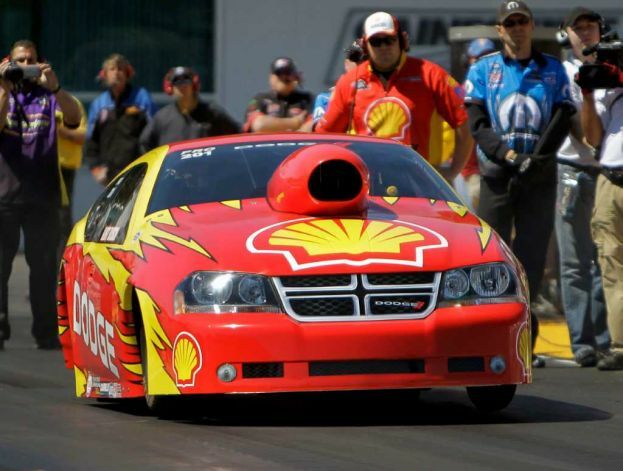 Driving a Dodge Avenger sporting the familiar Shell-Pennzoil motif, Busch impressed many by qualifying for the field. After a couple of failed qualifying runs – succumbing to tire shake on his first and staging late for his second round – Busch was able to place his car 12th on the grid with a 6.532s pass, pitting him against 4th qualifier Erica Enders. The experienced Enders left ahead of Busch with a .021s vs. 0.04s reaction time. Kurt however was impressive running a 6.541s, 211.59mph. It was not good enough however against Erica’s 6.538s, 211.69mph run. Busch reflected on drag racing, “What’s amazing is [the difference in the race is] just three-hundredths of a second; in this game of drag racing, that puts you back on the trailer.” All-in-all, though he got beat by a girl, Busch had pretty good first day at the office. Pro Stock bike saw Harley Davidson rider Eddie Krawiec run a near-perfect 6.847s, 197.08s run against a red-lighting Karen Stoffer. 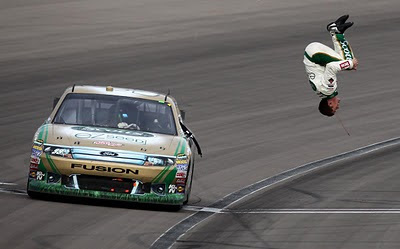 LAS VEGAS, NV – Roush-Yates Ford engines are the ones to beat in 2011. After a dominating qualifying session, the Fords were 1,2,3 and 4 for Sunday’s Kobalt Tools 400. Tony Stewart was running a marvelous race leading 163 of the 267 laps, but a penalty for an air-hose incident in the pits midway through the race may have cost him the race. Stewart lost the race when, with 32 laps remaining, he pitted to take on 4-tires. After a series of green-flag stops, Carl Edwards chose to take only 2-tires and was able to wrestle the lead from Stewart. Stewart finished 1.24 sec behind Edwards, followed by Juan Pablo Montoya, Marcos Ambrose and Ryan Newman. It was a tough day for several of the top contenders. 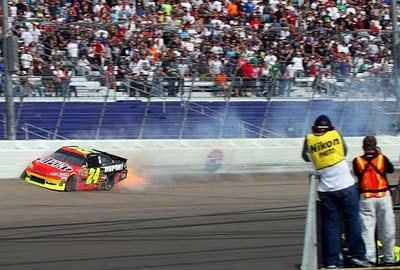 Jeff Gordon, following the win at Phoenix, blew a tire and slammed hard into the wall on turn 4. David Gilliland also suffered a blown tire resulting in his car crashing into the turn-two wall. Though not ending his race, Kyle Busch also experienced a blown tire on lap 96. But only 14 laps later, Kyle’s Toyota engine blew shooting flames into the cockpit. The other Busch brother also suffered a mishap when he lost control on lap 103 causing Kasey Kahne to hit the wall. Kurt was able to recover from his “excursion” finishing ninth. 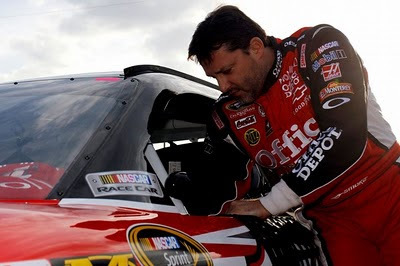 Following an “altercation in the garage” with Kevin Conway, Robby Gordon was placed on indefinite probation by NASCAR. Gordon and Conway, who drove seven races for Gordon in 2010, have been involved in litigation involving the relationship. "I'm sending you back to NASCAR, or to the Las Vegas police," Conway said. "That's all I can say about right now." The Las Vegas Police department will investigate the case to determine if any charges will be filed against Gordon. "This is an exciting win for Roush Yates Engines," said Doug Yates, CEO of Roush Yates Engines in Mooresville, NC. "We ran great all week long. I think this says a lot about our program and how we plan to run at 1.5 mile tracks throughout the 2011 season. 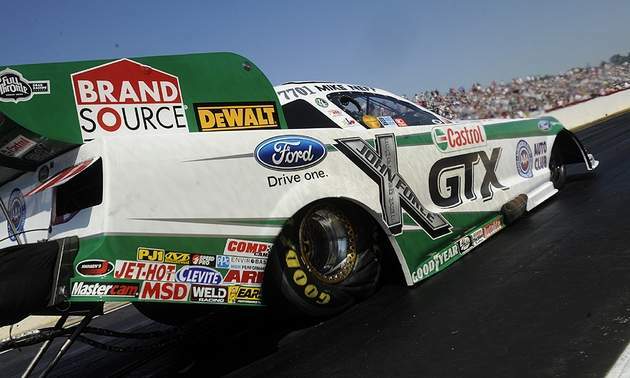 I want to thank Ford again for their support as we continue to excel with the FR9 engine." NASCAR has instituted a new points system for 2011. 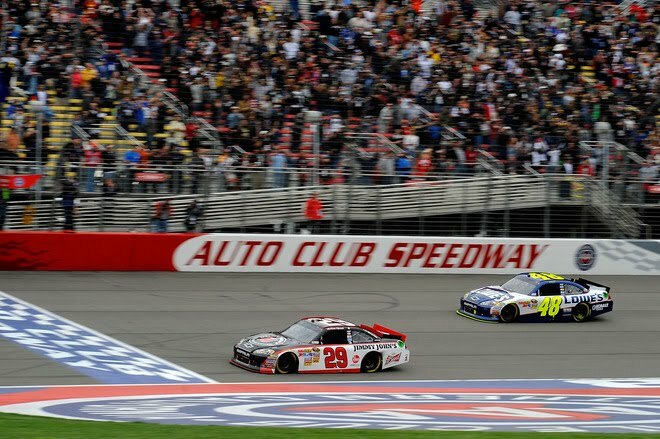 As a result of the Vegas race, with 113 points, Stewart moved up two positions to tie Kurt Busch for the lead. The win at Vegas propelled Edwards to 3rd place. Kyle Busch and Jeff Gordon fell 1 and 14 places respectively showing the volatility in the new point system.